The Indian Princess program is different from scouting, sports teams, and many other activities because it is specifically intended to be a parent AND child organization. 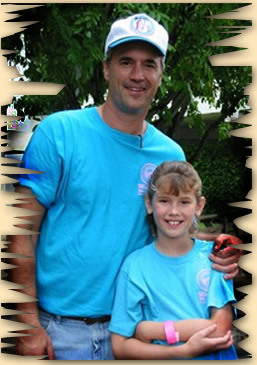 Our members join the program specifically because father and daughter want to spend more time together. This program provides a wealth of opportunities and settings you are unlikely to find otherwise. 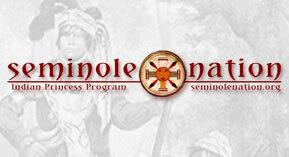 Welcome to the Indian Princess Seminole Nation program serving all cities near the northern quarter of Broward County, Florida. Today, we have 526 fathers and daughters actively participating in the program. • To learn more about where you live -- to see the big and little places that make Florida special, from Lake Wales to Arcadia, Yumatilla, Fruitland Park, Fish Eating Creek, and many more. • To learn about Native American culture and the environment around us, up-close and personal, in ways that no book or film could ever match. After you have joined with your children in the spiral dance at the State Pow-Wow, or lain on your back on the dock of the Swamp Safari at midnight while the stars wheel overhead and the alligators glide below, you will have a personal appreciation for what that means. • The two key events of the year are the Spring and Fall Nation Camp-outs in April and October of each year. These are father and daughter only events are packed with activities, held at full-featured camps with cabins, tenting , lakes, dining and activity areas. The Fall Camp-out includes horseback riding; the spring camp-out includes our version of the Pinewood derby. • The Sunshine State Pow-Wow is typically in March of each year; entire families are invited to gather with Tribes from Adventure Guide, Indian Guide and Princess programs across Florida state and join in war games, storytelling, dancing, and other contests. • In November, families are invited to join our annual camping, canoeing and shark tooth fossil hunting expedition on Peace River. 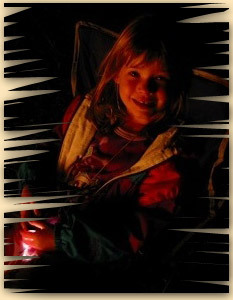 This wilderness tent camping weekend is a favorite of our Princess and Indian Guides programs. • In September we often have a Mystery Bus Ride. To Where? Can't tell you! That's why its a mystery. • In December we hold our Dad and Daughter Dance Gala to celebrate the end of the year and rotation of the Nation Officers. • Other Nation activities have included the Westgate River Ranch Rodeo, a private Overnight Museum of Science and Discovery Adventure, the Miami Metrozoo, Glass-Bottom boat excursions along the coast, overnight camping at Billie Swamp Safari on the Big Cypress Seminole Reservation, trips to Orlando, local Beaches, Sporting events and more. Each year our Nation Officers and Tribes cook up new adventures for their daughters. • Home Meetings, which generally include a craft activity, and may also include planning for Tribal Outing Events, Nation Events or community activities. These meetings are designed to be 1 hour long and will typically rotate around each dad's home or place that they arrange. • Outing Meetings, can include trips to local or state parks, an expedition to the Everglades, a canoe trip on the Loxahatchee River, a trip to Jupiter Lighthouse and Blowing Rocks Preserve, overnight stays at Spanish River Park or The Miami Seaquarium, Bob William's Cracker Creek Canoeing, behind-the scenes tour at local fire and police stations or local businesses, participation in community service activities. Each tribe can create their own outing. "An Indian Princess is a girl with a Dad like mine"
The Indian Princess program is designed for Dads and Daughters, growing together, spiritually and mentally. Sponsored by the YMCA, it is a spin-off of the Indian Guides program established in the 1920's for for Dads and Sons. 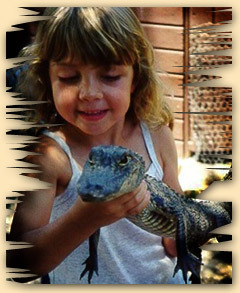 The purpose of the Indian Princesses Program is to foster the understanding and companionship of father and daughter. • Building a sense of self-esteem and personal worth. • Expand awareness of spirit, mind and body. • Provide the framework to meet a mutual need of spending enjoyable, constructive quality time together. • Emphasize the vital role that parents play in the growth and development of their children. • Offer an important and unique opportunity to develop and enjoy volunteer leadership skills. 3. "Forming Bonds to Last a Lifetime"
1. To love the sacred circle of my family. 2. To be clean in body and pure in heart. 3. To share understanding with my father/daughter. 4. To listen while others speak. 5. To love my neighbor as myself. 6. To seek and preserve the beauty of the Great Spirit's work in forest field and stream. 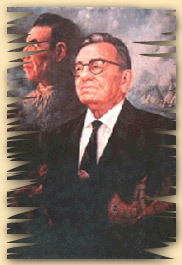 Keltner designed the father and son program based upon the strong qualities of American Indian culture and life--dignity, patience, endurance, spirituality, feeling for the earth and concern for the family. The Indian Maidens, a sister organization for mothers and their daughters was established in South Bend, Indiana in 1951. The Indian Princess organization for fathers and daughters got its start at the Fresno, California YMCA in 1954. Finally, in 1980, the US national YMCA recognized the need for an Indian Braves organization for Mothers and Sons. There is currently some controversy over the use of traditional Native American names and themes in the program. Below are some brief editorial thoughts on the subject. In addition, here is an article reprinted from the Los Angeles Times.Participants in the Indian Princess program are encouraged to find positive and respectful ways of using the Native American theme in their activities. While a tribe may participate in a variety of events over the course of a year, the Native American theme has been an instrumental part of the program for three-quarters of a century.That's saying quite a bit considering the changes that occurred in American society over that time. In 1926 when the Y programs began, the world was a very different place. Yet the program, which is entirely a volunteer organization, has continued to win the interest and involvement of parent and child alike, regardless of the world of distractions that surround us, and has remained largely true to its original intent to the present day. In addition to selecting tribal and individual names, program activities often include Native American crafts, artwork and storytelling. Our semi-annual Nation Camp-outs include contests for Native American costume. Parents and child (and friends and grandparents) are often involved in researching and creating traditional costumes. The most recent winner wore a Lakota costume whose detail would have rivaled more than one museum display I have seen.Once a year we attend the Sunshine State Pow-Wow (held at different locations each year). Included in the activities are visiting native American storytellers and dance groups, along with various classes and workshops on crafts, tribal languages, and other topics. A father and daughter activity, in this case, becomes a four-day long family expedition to join literally thousands of others from Guide and Princess Nations across the state.In South Florida we are fortunate to be close to two tribes, including our namesake Seminole Tribe and the Miccosukee Tribe. Both hold annual Pow-Wows within easy easy travel distance (in Hollywood and on the Tamiami trail, respectively) and both tribes have a variety of cultural events at their respective museums, most notably at the A-Tha-Thi-Ki museum on the Seminole reservation. We also annually attend, as a tribes or as a nation, overnight events on the Big Cypress Reservation, including reenactments from the Seminole wars, rodeos, and late night story telling.In our own tribe we were doubly fortunate to include among our members a daughter whose mother was a Choctaw, originally from Alabama. Her comments on the program and participation were valuable in increasing our exposure to, and appreciation of Native American cultures and sensibilities.Most of us are all too aware of the ways in which entities ranging from Hollywood to Professional and Collegiate sports organizations have appropriated and abused Native American names, faiths, and culture. Most of these have clearly been self serving and disrespectful. I wouldn't dream of suggesting otherwise. On the other hand, it does not have to be that way. My own children have slept many nights in Seminole chickees in the Everglades, eaten Seminole meals and danced in Seminole and Tale ka dances. They have watched fancy dancers and hoop dancers and jingle dancers, eaten chicken roast over a fire pit by starlight with Jimmy Sawgrass, listened to tellers of stories and folklore at A-Tha-Thi-Ki, and learned which words and actions are respectful and which are not.I am grateful to have had the chance to expose my children to these things, and I wonder, if it had not been for this program, what their understanding of Native Americans might have been based on. A John Wayne movie perhaps? A casino advertisement?